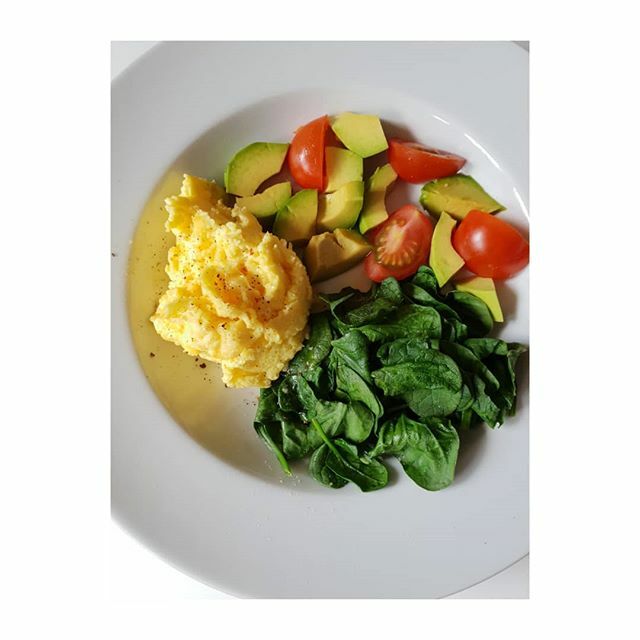 Scrambled eggs with spinach, avocado and tomatoes. You could leave a 12 hours interval before you eat your breakfast, after your last meal the eve before. This gives your digestion a chance to rest. 16-18 hours is an optimum gap if you’re on a weight loss journey. On 2 consecutive days for the best result. Spinach, avocado and tomatoes are all good slow release carbs eaten together with the protein of the eggs. Tomatoes contain the antioxidant lycopene which has been linked to many health benefits including reduced risk of heart disease and cancer. They also contain Vit C and Vit K.
This entry was posted in Lifestyle and tagged 50plusandfit, 50plusblogger, eggs, health, healthybreakfast, healthyeating, healthyfood, homecooked, inspire, lifechange, lifecoach, lifestyle, lifestyleblogger, lifestyletips, lowcarb, motivate, nutrition, protein, youcandoit, yummy by ceril. Bookmark the permalink.